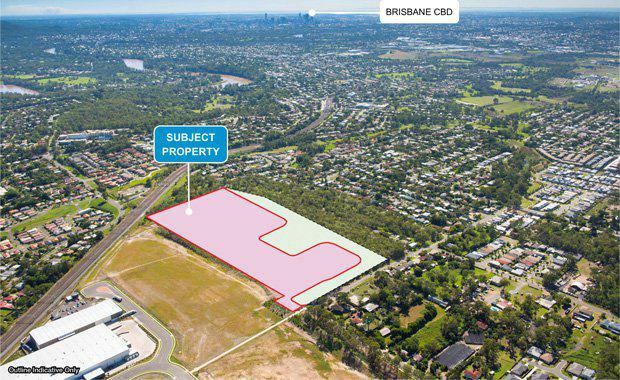 A 7-hectare infill residential development site in Brisbane's Darra has been purchased by an offshore investor. Huon Property Group, a subsidiary of Singapore-based RunningStream Group, has purchased the site for $20 million. Darra is 16km south-west of the Brisbane CBD. Subject to further council approval they plan to develop the site into a multi-staged community consisting. The site is currently zoned for low-medium density residential development and has a developable area of approximately 6.5 hectares. Positioned at 242 Englefield Road in Darra, the site represents a surplus portion of the Connectwest Industrial Park which is being developed for a Charter Hall managed partnership by Commercial & Industrial Property Pty Ltd (CIP). “The RunningStream Group has over a decade of investment experience in Australia – a valuable destination which Huon is able to capitalise on to deliver responsible and relevant projects for the local community,” chairman Dan Toh said. The property was marketed via an expressions of interest campaign by Brendan Hogan and Adam Rubie of Colliers International in conjunction with Mark Creevey and Tony Williams of Ray White. “We received a record of 174 enquiries during the campaign, and 20 offers from a range of private and public groups, based both locally and offshore,” Hogan said. Tony Williams of Ray White Special Projects said the interested parties were also attracted to the fact that the seller will create the title and deliver an approved, serviced, cleared and compacted site ready for development. “The opportunity to acquire a 7 hectare vacant residential site within Brisbane LGA is rare, especially when it is located in close proximity to a variety of shopping, educational, community, public transport and recreational facilities.